Youtube is probably a best place where we can find almost all new video songs in all languages. So if you don’t have a web link to download one of your favorite MP3 songs, you can use Youtube to get them in simple easy steps. 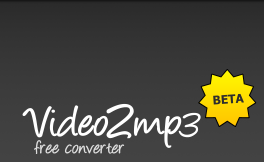 YouTube2mp3 is new web 2.0 service that lets you to convert Youtube videos to MP3 files, online. Just Go to and enter the desired Youtube video URL that is to be converted into MP3 song. Hit convert and wait for sometime before they convert the video into MP3 song . A download link will appear after successful conversion. Apart from this, they also have a Firefox addon that can be used to convert Youtube videos to MP3 files in Youtube page itself. This saves the cop-paste time. If you like this post, you can subscribe to our email newsletter to get similar ones. ha ha ha ah a h ah aha i was just kidding or was i rite???? ?